Both literally and figuratively Calexico keep moving. Each album from the long-standing Arizona duo feels distinct, arriving with an identity all of its own. New record 'The Thread That Keeps Us' is no exception. Built on the coast of Northern California by Joey Burns and John Convertino, it's a raw return, but one with immense heart. Joey: Playing at Wave Rock Music Festival in Western Australia. It’s held so far away from any major city that the stars seem within arms reach at night. It’s a great vibe there. John: The band and crew were once flown to Catania in private jet with champagne and salmon. Joey: We once played a couple of cities in Florida. It was a bad time, shows were depressing and we were being followed by an “experimental” film crew from Berlin. I think we need a redo and play in Florida once more without the cameras. John: The band and crew were once flown from Berlin to London with over 20 other bands. The plane was so overloaded with gear that all drinks and food had to be taken off. Joey: Anywhere in Paris. How about Élysée Montmartre where we’ll be playing March 27th, 2018. Joey: We once got some fan mail from scientists living and working in Antarctica. It would be nice to play and record there. Joey: Horse sashimi in Tokyo was the worst. Don’t think I need to revisit that dish. Joey: We met and recorded with Willie Nelson at his home studio outside Austin TX in 2010. Willie, who had just shown up from an all night poker game in Dallas, was all soul and sweetness to work with on a Dylan cover 'Señor (Tales of Yankee Power)' for the Todd Haynes film I’m Not There. Joey: One of the band was racing up the down escalator when they slipped and fell, puncturing their knee cap. Oddly enough the wound looked like a smiley face. Joey: My nylon acoustic guitar. Joey: Get lost, be quiet and listen. 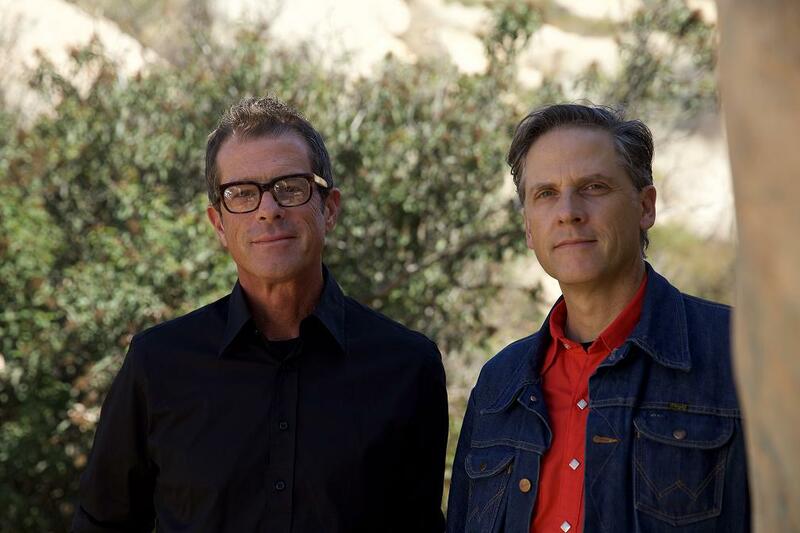 Calexico's new album 'The Thread That Keeps Us' is set to be released on January 26th.